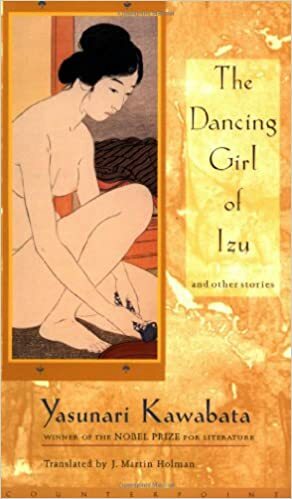 Available again, a newly translated collection of twenty-three stories from one of the most influential figures in modern Japanese literature. "He employs devices from those long poetic traditions in order to create in modern prose his remarkable effects: juxtaposition of image upon image to open up the depths of feeling lurking behind placid surface reality." Washington Post"We owe Martin Holman this insight, for in rendering these important early writings into English, it is he who has shown us that the author in his youth was already the mature Yasunari Kawabata. "Japan TimesYasunari Kawabata is widely known for his innovative short stories, some called "palm-of-the-hand" stories short enough to fit into ones palm. This collection reflects Kawabata's keen perception, deceptive simplicity, and the deep melancholy that characterizes much of his work. The stories were written between 1923 and 1929, and many feature autobiographical events and themes that reflect the painful losses he experienced early in his life. my grandfather had GO YASUNARI KAWABATA always harbored an extreme contempt and mistrust of doctors, when he finally faced this one, he gave himself up to his care and thanked him, tears flowing from his eyes. Rather, it was I who felt as though I had been betrayed by my grandfather. I pitied him in such a state. It was painful to watch. My grandfather died on the evening of the great funeral for the widow of Emperor Meiji. I was tom as to whether I should attend the local memorial service. talk.’ [I was thinking I would take down my grandfather’s words as I heard them. ]” It says “desk”; however, I remember it more like this: “I placed a candle on the edge of the footstool I was using as a desk and wrote ‘Diary of My Sixteenth Year’ on it.” My grandfather was nearly blind, so he would not have noticed that I was writing about him. O f course I never dreamed that ten years later I D u n of My S i x t e e n t h Y e a r u would he publishing this diary as a work of literature. lingered as a memory. It was not that I had an inborn hatred of oil lights or the sound of a bell. A t my grandmother’s and my sister’s funerals, perhaps I was unconcerned about the light from the oil lamp, having forgotten that I had made someone pour out the oil at my parents’ funerals. But my grandfather did not make me pray before the light of an oil lamp. W hen I heard my aunt’s story, I was able to realize, for the first time, my grandfather’s grief, which was contained within the story.